Abbot Odo Haas, the first abbot of Waegwan Abbey, died because of a chronic disease on 17 February, 2019 at thirteen minutes past three in the afternoon at Fatima Hospital in Daegu. We ask for your prayers so that Abbot Odo may find true peace in God. He was 88 years old and in the 66th year of his vows. philosophy at the Archabbey of St. Ottilien. Then he studied theology at Würzburg University where he concluded his studies with a licentiate. 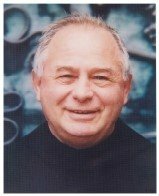 On 6 July 1958 he was ordained a priest by Bishop Dr. Josef Stangel. His first assignment as a priest were the parishes which at that time were cared for by Münsterschwarzach Abbey. In 1959 he started to prepare himself for the Mission in Korea. He was sent into the Mission solemnly together with more than 500 other new missionaries from Europe on 10 October 1959 by Pope John XXIII. in the Cathedral of St. Peter in Rome. He boarded a ship and arrived in the harbour of Busan (Korea) on 7 March, 1960. After learning Korean he was assigned to the parish in Sangju as assistant priest. It was a ministry which did not last long because he was elected at the very young age of 33 years as the first abbot of Waegwan on 28 April 1964. Abbot Odo has laid the foundation for Waegwan Abbey which because of its past history is closely related to Tokwon Abbey in North-Korea and Yeongil (Yanji) Abbey in China. Abbot Odo has made it clear from the beginning of his service as abbot that in the future there should be a Korean to lead the abbey in Waegwan. He did not wait long. After close to 7 years as abbot of Waegwan he resigned from his office on 24 February, 1971. Then the first Korean abbot was elected. It was Abbot Placidus Ri. Soon after his resignation Abbot Odo went to Japan. He did so because of his missionary consciousness and also to create space for his successor. In Japan he joined a community of Benedictines in Meguro (Tokyo) who were also responsible for the djunct parish of St. Anselm. After learning Japanese Abbot Odo became the parish priest. The parish had a special character because it was a Benedictine Parish. It was instrumental in making Benedictine spirituality known in Japan. Japan was not the last station for Abbot Odo. Another big missionary service was asked from him by the leadership of our Congregation of St. Ottilien, namely to start a new monastery in the Philippines. He went there in 1982 and stayed for 22 years. The location was the southern Philippine island Mindanao. It was there where he founded together with two confreres from Germany and two from Korea a Benedictine community in Digos which has grown into a Conventual Priory, a flourishing monastery, which is spreading through various means the Good News in the region. In 2004 Abbot Odo came back to Waegwan for a year, – to recharge. Then, on 17 January 2005, he went – again at the request of the Congregation of St. Ottilien – to one of the 4 great churches in Rome, The Papal Basilica of St. Paul Outside the Walls, here he was also a member of the Benedictine Community which was in charge of the church. His assignment was to hear confession for the pilgrims coming to the church. On his confessional was a sign that German, English, Korean, Japanese or Cebuano (a Philippine language) could be spoken during confession. But Abbot Odo recalled that most of those who came for confession were Italians! In August 2008 Abbot Odo returned to Korea. Here he served as chaplain for the Filipinos who came on Sundays to attend Mass to the Workers’ Cultural Center in Gumi which was run by Waegwan Abbey at that time. He also went to the Benedictine Monastery in Kumily, India, to assist the community there. There was also a time when he served as chaplain of the Benedictine Sisters in Tansu, Taiwan. Throughout his life he was and remained a missionary who was available when and were he was needed. Up to the beginning of this year Abbot Odo was always present when our community prayed and meditated. He also had the wish to visit his German homeland one more time, but starting from 21 January his health faltered and he had to be transferred to Fatima Hospital of the Benedictine Sisters in Daegu where he died on 17 February. 안녕하세요. 뉴튼 수도원 트리농장 담당자 요셉 수사입니다. 더운 여름이 지나고 가을이 왔네요. 다름이 아니라, 저희가 도움이 필요해서 이렇게 손을 벌립니다. 트리 전지 작업을 합니다. 기간은 9월 9일부터 11월 20일까지 합니다. 주로 월요일에서 금요일까지 하고 시간은 9시부터 4시 경까지 할 예정입니다. 복장은 긴팔 셔츠, 긴 바지, 두꺼운 신발 등을 준비해 주시면 되고, 하루나 이틀정도씩 해주셔도 많이 감사합니다. 연락처는 김 요셉 수사: 973-362-8273 그리고 appledhkim@hotmail.com 입니다. https://www.newtonosb.org/wp-content/uploads/2017/11/logo-300x100.jpg 0 0 osb https://www.newtonosb.org/wp-content/uploads/2017/11/logo-300x100.jpg osb2018-09-10 14:49:532018-09-10 14:49:55트리농장에서 알립니다. and your justice guide our lives. https://www.newtonosb.org/wp-content/uploads/2017/11/logo-300x100.jpg 0 0 osb https://www.newtonosb.org/wp-content/uploads/2017/11/logo-300x100.jpg osb2018-07-04 13:21:152018-07-04 15:10:11Happy Fourth of July !! The Sewol Ferry sunk on April 16, 2014 in South Korea. 304 passengers (most of them were high school students) and crew members died in the disaster. Among those victims the bodies of 9 people are still missing. Please remember those victims and their families during this advent season and the coming Christmas season in your prayers. “내 평화를 너희에게 준다. 내가 주는 평화는 세상이 주는 평화와 같지 않다”(요한 14,27). 한국 천주교회는 고고도미사일 방어체계(사드)의 한반도 배치 결정이 초래할 상황을 주시하고, “평화는 결코 ‘무기라는 힘’의 균형으로 이루어질 수 없으며, 상호 신뢰에 의해 확립된다.” (｢지상의 평화｣, 110.113항 참조)고 하신 요한 23세 성인의 가르침을 기억하며 아래와 같이 교회의 입장을 표명한다. 지정학적 특성과 강대국들 간의 이념적 대립으로 분단된 한반도는 분단 71년의 역사 속에서 위기를 평화로 이끌어가기 위한 수많은 노력을 기울여 왔다. ‘7·4 남북공동성명’(1972), ‘남북기본합의서’(1992), ‘6·15 남북공동선언’(2000), ‘10·4 남북공동선언’ (2007) 등은 남북 관계의 발전과 평화 번영을 위한 노력의 귀중한 결실이다. 최근의 신무기의 추가적 개발과 배치는 남북 간의 긴장을 고조시킨다는 점에서 그간의 모든 민족화해와 공동번영 노력에 역행하는 일이다.